Three lives, three choices, three trains. 1957 is not the easiest of times for Lydia and her new-born child. Jack is finding it just as difficult in 1992 as his teaching career hits rock bottom. For tennis player Rachel in 2012, her life is beginning to crack under long-felt pressures. Seemingly mundane, their respective train journeys to Manchester Piccadilly expose stories of loss, guilt and devotion. As each dwells on the choices that led them down these tracks, it soon becomes clear that their journeys are not as innocuous as they first seem. 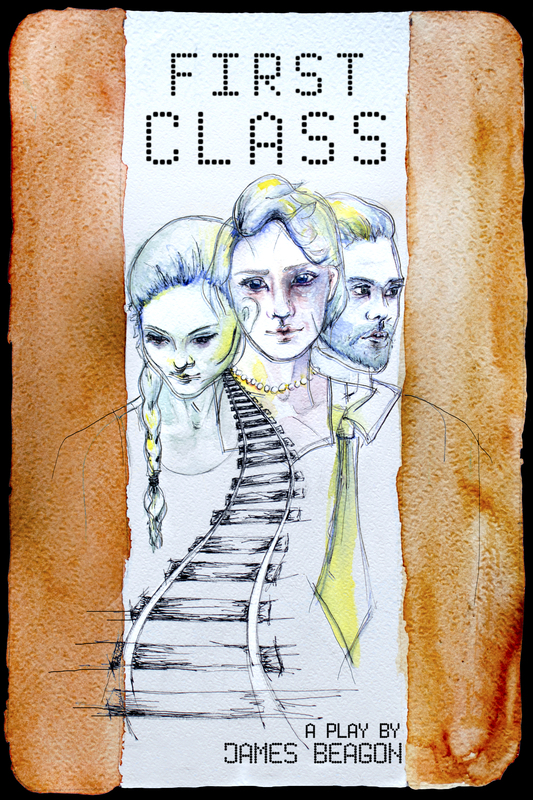 ‘First Class’ is a one-act stageplay by James Beagon. It was originally staged and produced by Aulos Productions and Relief Theatre, where it won the award for ‘Best New Writing’ and was nominated for ‘Best Production’ at the Buxton Fringe 2014. From there, the production went onto a successful run at the Edinburgh Fringe 2014.